If you are looking for new homes in the greater Tucson area, Marana, Dove Mountain, Canyon Pass, Butterfly Mountain or Oro Valley you have certainly found the right builder. 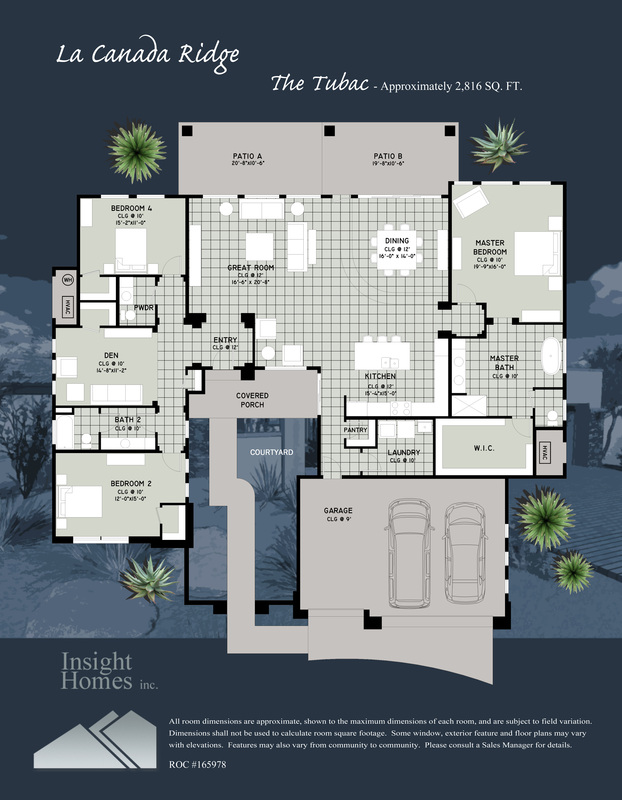 Insight Homes is pleased to announce our newest neighborhood, La Canada Ridge, north of Tangerine Rd. 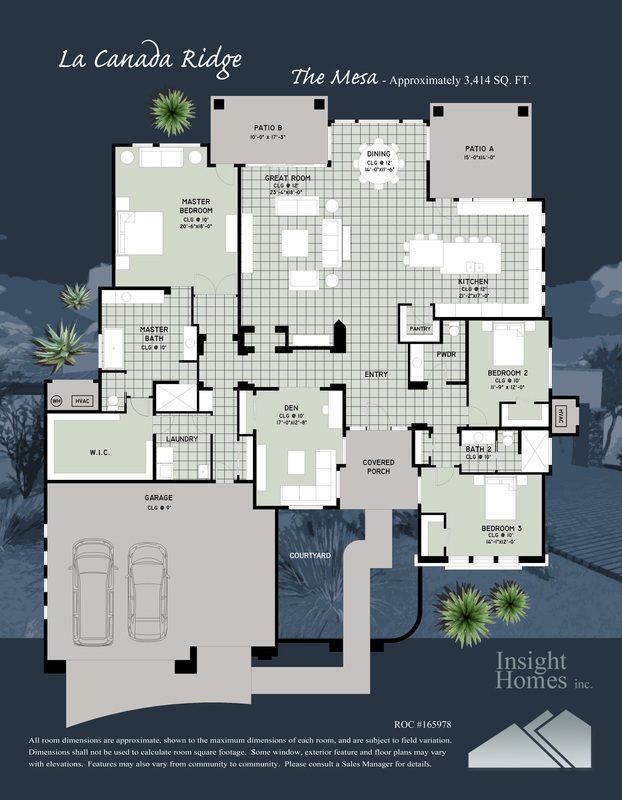 Lots range in size from ½ to 1 acre and offer stunning mountain views while maintaining the surrounding native desert. The three brand new floor plans are all at least 3 bedrooms + den with option for 4th bedroom and include a 3 car garage. We offer additional structural options which includes a fourth bedroom and/or fourth car garage. 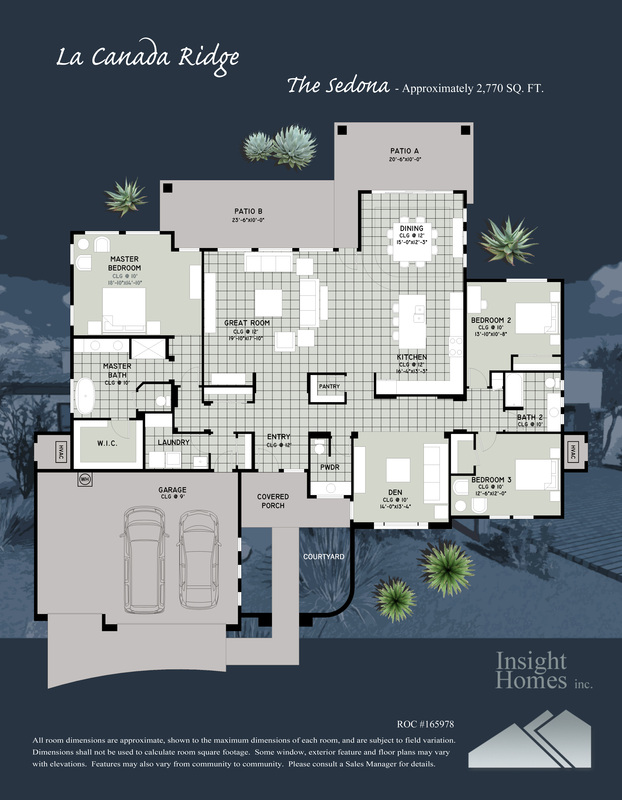 We will also make custom changes to the standard plans to truly make it your home. Seller reserves the right to discontinue plans, specifications, features and materials, or modify at any time without notice or obligation.